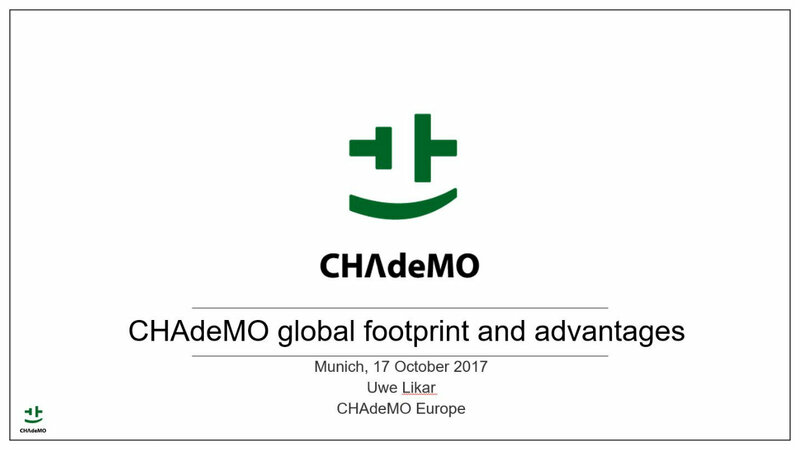 Autumn is another busy season with plenty of conferences and CHAdeMO reps went to places to speak about CHAdeMO today and CHAdeMO tomorrow. 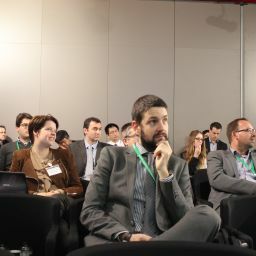 Apart from EVS30, the EV conference with the longest history, where CHAdeMO hosted a shared stand, presented at the Symposium and held its annual European member meeting, we were also invited to speak at the World Mobility Summit in Munich and the 4th European Electric Vehicle Congress in Madrid in the same month. 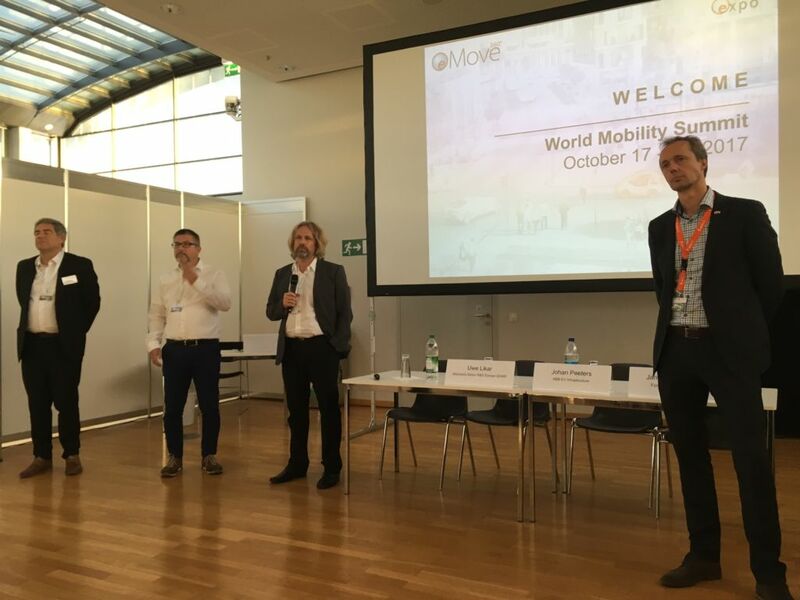 On 17 October, at the World Mobility Summit, held in conjunction with eMove360, Uwe Likar, Mitsubishi Motor R&D Europe GmbH and Steering Committee Member of CHAdeMO Europe, spoke about CHAdeMO’s footprints and future technology road map, including high power CHAdeMO protocol developments (already 200kW and going 400kW soon) and V2X project examples. It was part of the session named “Charging – what is the right system?” with speakers from ABB, Fortum, and Greenflux, where active discussions around the developments, installation and operations of a variety of charging systems took place with engaged audience. 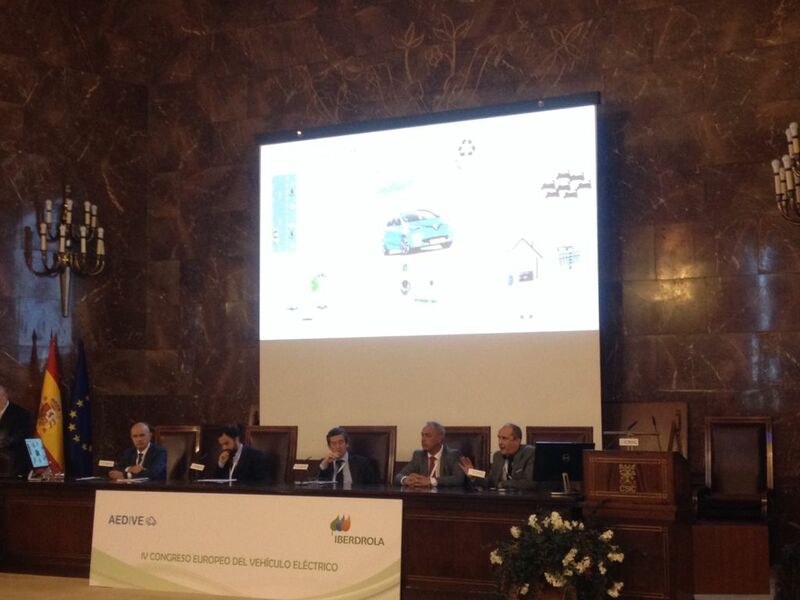 In Madrid, one week later, the European EV Congress was held, with the participation of EC Commissioner for Energy and Climate Action Miguel Arias Cañete as well as the Spanish Minister of Agriculture and Fisheries, Food and Environment, Isabel Garcia Tejerina. During this two-day conference, Tomoko Blech has represented CHAdeMO Europe and spoke on the future of fast charging along with reps from CharIN e.V., Phoenix Contact, and Renault. 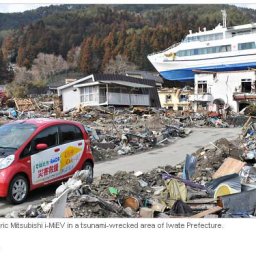 Her view was that with the increasing trend of EV battery size and hence autonomy, the charging behaviours of EV users will further diversify, which shall include destination charging of various power levels as well as smart charging using V2X, which shall happen at the primary charge points, e.g. at home or at the office. 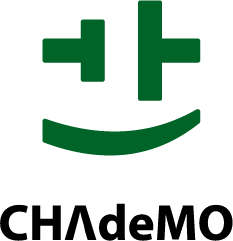 CHAdeMO Association is happy to come and speak at conferences and user gatherings. Please do not hesitate to contact us on speaking opportunities.